When it comes to car sounds, nothing says best as putting up the best shallow mount subwoofer system in your vehicle! These sound systems are created and designed to produce the best bass sound while remain compact. They are also able to cover lower end range of frequencies that no smaller speakers can do. However, the kind of subwoofer you get will depend on the size and space that you have in your car. If you have a vehicle that has limited room then you need to make sure that you get the right kind of subwoofer, otherwise it will be just a waste of money. 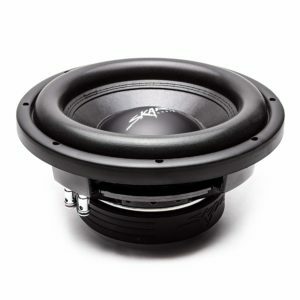 In order to do that, we will help you pick out the right kind of subwoofer to install in your car and if you are ready, all you have to do is read this article. 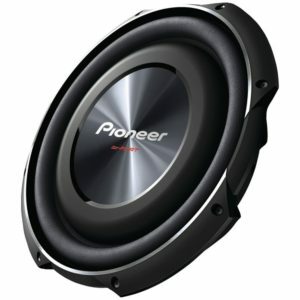 Is a radically thin subwoofer that Pioneer had developed with its latest subwoofer technology. 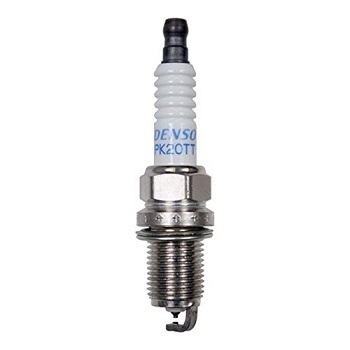 This product is designed to keep the voice coil of the speaker aligned well while the car is moving. It is consist of Air Suspension Control System that locks the air between the main cones and drive cone. So when the cones come together, the air is locked in which then acts like a spring resulting to consistent bass sound with accurate movement and powerful end notes. The build of this subwoofer is made to be durable and is able to withstand heavy sound without destroying or deteriorating the quality of the sound. They have also incorporated their woven cloth reinforced radial urethane that reduced the distortion while it enhances the power handling and durability. It is designed to create the best bass sounds. It is designed to be durable. Gives you crisp and enhanced sound quality. Fits anywhere inside your car. Great price for a shallow mount subwoofer. Too small for other users. Does not fit the standard 12 inches box hole. 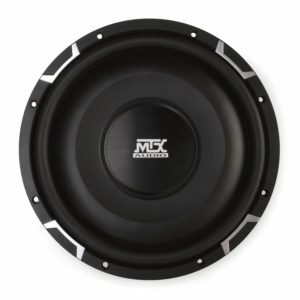 Our next contender is one of the best subwoofers produced by MTX Audio. 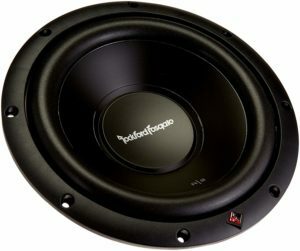 This sub creates a healthy combination of its features and great sound quality that you need in a subwoofer. It is designed to be thing but can definitely produce great bass in your car even if your space is limited. This is only about 3.3/8 inches deep so it can be mounted in a small enclosure of your choice. It handles about 400 watts RMS and is able to deliver a great performance compared to any other subwoofers you have used. When it comes to durability and quality, this subwoofer is pretty well-designed, in fact, it is a unique piece of sound system. For one the cone is not attached to the spider so it makes the cone movement easy to control. It also gives you a curved design that connects to the surround system. Furthermore it is well-engineered and allows the air to move freely so it generates higher sound pressure levels. It also features the Spider Plateau Venting which circulates air to the voice coil and helps eliminate the sound distortion which can be produced during excessive heating. Gives you stunning bass sounds. The speakers are great for a shallow mount. Can be mounted in your car easily. Many customers are very happy with its performance. So far customers are happy with this subwoofer and not a lot of complaints were received. 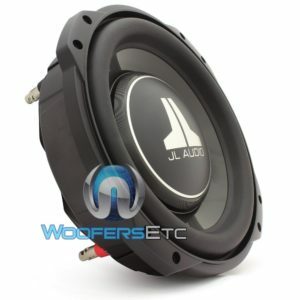 If you are someone who is looking for a good mount subwoofer that can produce big bass then this is the product you need. It is designed to 5 ¼ inches deep, this subwoofer has an enclosure that measures about 5/8 inch thick with medium density fiberboard. This board is protected by a black rubber that carpeting that makes it long-lasting as well as durable. The enclosure for this subwoofer is 10 inches and can handle about 250 RMS. It also features the special elevated motor enclosures that let the subwoofer handle even the most extreme compact enclosures in your car. It hits the bass drum really clearly and lower tones still come through with a lot of power and clarity as well. It provides the right amount of bass. Can fit any enclosure well. It provides you with clear and crisp sounds. Bigger than your regular subwoofer. Does not last a long time (6 months max). It’s cheap so it does not last a long time. Speaker sounds muffled and rattled over time. For our first subwoofer, JL audio surely knows how to get things done. This subwoofer is designed with very shallow mounting depth of 3.25 to 3.50 inches in measurement. It is also designed with long linear excursion capabilities and patented concentric tube architecture. The frames are made of cast alloy so you know that this is durable yet light. It is designed with a combination of rugged polypropylene cones so the movements are reduced while the rubber around it allows long lasting movement. The vents have no pole which makes mounting particularly close to the rear wall of its enclosure. It also has small sealed enclosure volume requirements as well as motor design that is DMA-optimized. It also contains the floated cone attach method technology as well as mica-filled polypropylene. 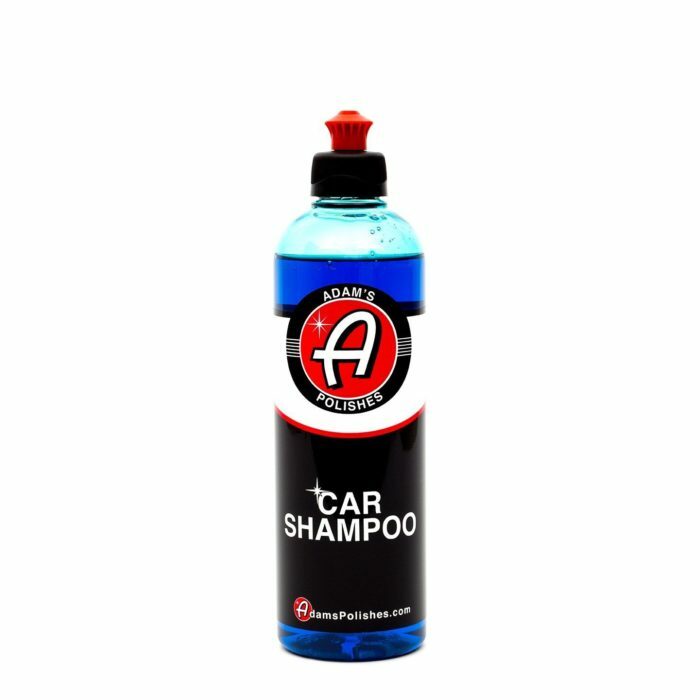 Works well in small spaced vehicles. Has a nice bass for a small size. 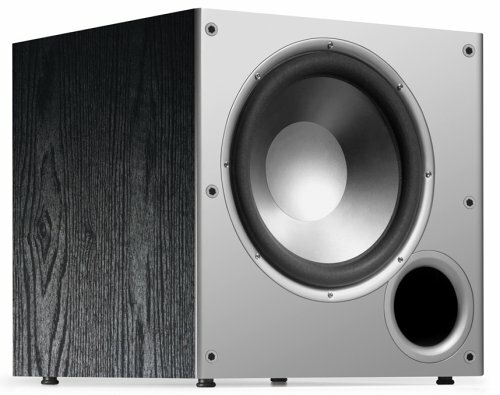 The size makes this subwoofer the favorite among users. Falls apart after a few months of use. 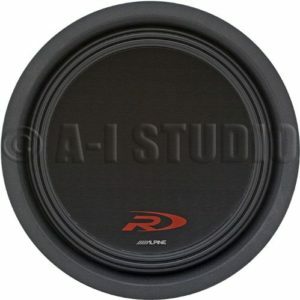 For our next subwoofer, we give to you the Alpine Swr-t12. This may be a bit expensive for your taste but we assure you that it is worth every penny. For one the sound quality of this product is very consistent and there is practically no degradation in its performance. It is designed to have high power handling and low-profile so as a result, it gives you the best bass. It can also fit into small spaces so you don’t have to worry about installing it. The depth of this subwoofer is about 3 ½ inches but the cone is designed to be as long as it’s counterparts. The sound of the bass is consistent. It has the technology you need in a subwoofer. Designed to fit small areas of your car. It’s a bit expensive compared to other brands. It may not be ideal for those who are looking for larger subwoofers. 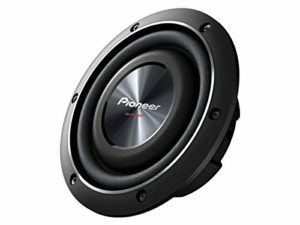 This quality subwoofer from Pioneer comes with a voice coil which enables it to produce topnotch sounds and rich deep bass sounds and it is also able to produce this level of deep and rich bass sound thanks to its mica injection molded resin which makes the production of deep bass sounds more accurate. Having a large cone structure is another feature of this subwoofer and this large sized cone produces a gasket surface and another larger cone without altering its external dimension. However, this cone surface enables the subwoofer to generate more deeper and louder bass sounds while its mounting depth is lower compared to that of an average subwoofer in its class. 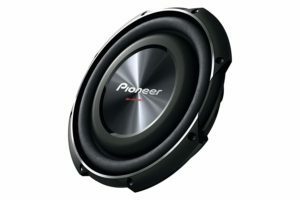 The Pioneer brand is one that is famous for the production of high quality electronics and this brand can also be trusted when considering what subwoofer to buy. The Pioneer TS-SW2002D2 shallow mount subwoofer is carefully designed to handle a peak power of 600 Watts as well as a nominal power of 150 Watts. Thanks to impressive features like a mica molded resin injection cone, this subwoofer produces high sound quality and rich bass sounds. It would also produce accurate bass sounds. The TS-SW2002D2 subwoofer has a cone surface that makes use of moving air in producing louder and deeper bass sounds. Its mounting depth is also below half of any standard subwoofer ever made. This subwoofer has the ability to be powerful and versatile and the same time. It features a unique voice coil and durability is a noticeable factor of this subwoofer as all of its parts were made out of original and high quality materials which doesn’t just make it last long but also enables this subwoofer to handle high amounts of power. Having an adequate cooling design and being compact makes it perfect for shallower enclosures and this doesn’t also affects its performance but helps to increase it. Some of its important features includes having a dual layer convex spider, foam surround, high grade cone and many more. 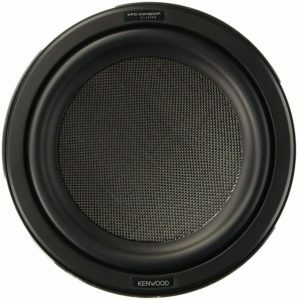 This is one of the most reliable, affordable and powerful subwoofer that you are likely to encounter when considering what shallow mount subwoofer to buy and this is the type of subwoofer that would deliver outstanding and impressive results whether it is used in a sealed or vented application. It is also very efficient and not built to be like all other subwoofers as it features high grade and premium materials which ensures it lasts around for years and also offers high quality sounds. This subwoofer is engineered to meet your daily needs and it spares no expense as it has some unique features like a powerful voice coil, foam surround, original paper cone, ferrite magnet and more. Even under demanding conditions, the Rockford Fosgate R2D4-10 subwoofer is one that is engineered to deliver amazing sound for your listening pleasure. Its decisive mechanical design simply tells you that it would be able to remain solid and in great shape for coming years and the addition of this subwoofer to any sound system would be a huge upgrade to any sound system or setting. Its solid steel frame makes this subwoofer to last around for a while as it helps to fight against unforeseen damages and it is tough enough to handle 500 watts of power alongside a nominal power of 250 watts. This is one of the smallest subwoofers ever to be made by the Rockford Fosgate company and despite being small in size, this subwoofer is also capable of producing impressive bass sounds. 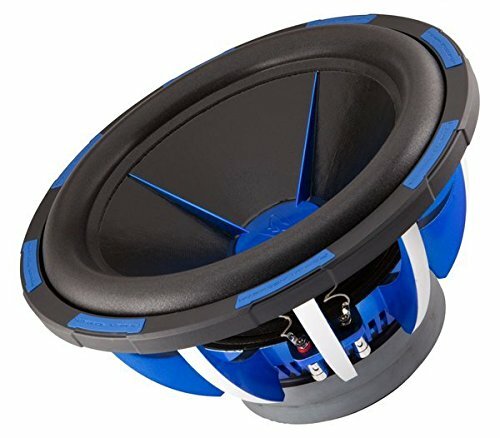 It is the ideal choice for anyone who desires to have decent sub in his car and durability is also one reason why this subwoofer has made it to this list as it features a quality santoprene rubber, low impedance rating and an anodized cone which contributes to the long lasting factor that this subwoofer has. 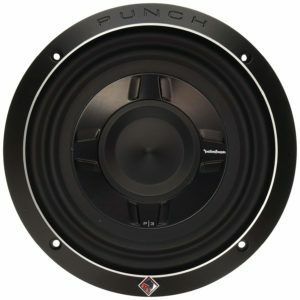 This is the ideal choice of subwoofer for adding balance to any sound system and delivering great punches and also being responsive are other qualities of this well constructed shallow mount subwoofer. 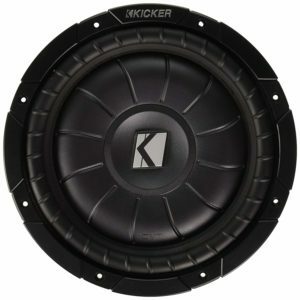 Kicker has a famous reputation for producing subwoofers that are capable of producing powerful and deep bass at a very affordable rate. This subwoofer can be installed anywhere and it also aims to produce powerful bass sounds despite having a compact and portable size. Its impressive feature is its high quality construction and it also has a frequency range of 25-350Hz with a peak power of 800 watts. No matter the application, this subwoofer would perform great and meet customers satisfaction and other impressive features of this high quality subwoofer are as follows; solokone cone, santoprene rubber and a high temperature voice coil. This is the speaker that you should pay close attention to if you want a subwoofer with maximum headroom and it comes with large amount of power which shows that this subwoofer can handle high amounts of power. Taking durability into consideration, this well built subwoofer comes with a single voice coil, butyl rubber surround and a high quality fiber cone as well as an outstanding heat transfer design. This subwoofer will perform adequately irrespective of the application it is used and it would mount deeper as it goes about four inches deep but still, this subwoofer is narrow enough to fit into any application. This is not so different from the Kicker subwoofer we just talked about earlier as they both have similar features and functions but the CVT104 comes with a lot of punch and responsiveness as well as delivering lot of boom. This subwoofer is more shallow compared to the previous model we talked about and this could make installations quite difficult in certain applications. 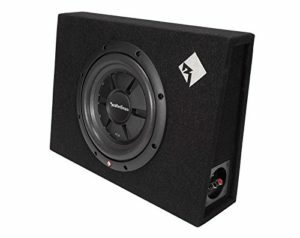 Having a fairly impressive sensitivity and also being able to handle up to 800 watts of power are some key features of this kicker subwoofer and if you ever encountered any problems in installing the CVT124 model then the kicker CVT104 is a more preferred option as it can be installed easily. No name has more excellence when it comes to the world of car audio systems than the JL Audio brand and this brand is responsible for the production of subwoofers which are well tuned, has high responsiveness and also produces the best sounds. One feature every customer tends to notice about this high quality product is its unique size and having a depth of 2.5 inch together with a thin profile makes installation quite difficult and challenging. Even though this subwoofer might not be as powerful as expected, it still has the ability to deliver the best performance in sound. This is the best musical sub anyone could ever settle for as it has the power to produce extremely loud bass sounds but also tries to maintain clarity at the same time. The trunk of your car – if you want big bass or feel loud music then this is the best place to install your subwoofers. It may be loud but it will not compromise the high quality of your music. Plus if you want something that attracts attention then this is the kind of place you would like your subwoofers to be. The rear deck – if you don’t like it too loud then this is the place to install your speakers. It is perfect for those who are aiming to hit the high and low notes of the music. They also add more dimension to the music, if you know what we mean. Now before you make that purchase understand the benefits you can get from purchasing subwoofers first. For one these are light and portable so you can use it anywhere. They are also easy to mount compared to regular subwoofers. So all you have to do is to install it anytime, remove it if you want and then transfer it to the spot that will suits you best. And if you are someone who enjoys music well then having this as part of your car will make driving a lot interesting. Most of the time the bass and sound quality are among the main issues of shallow mount subwoofers. These can be easily distorted especially if the subwoofer is made by low-quality materials. There are also parts that could break easily and when they do, it could mean serious damage and repairs. This alone can be an inconvenient thing to have. 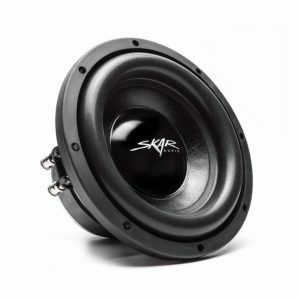 8 inches subwoofer – these produce fast paced sounds and is ideal for those who are into light or soft bass. 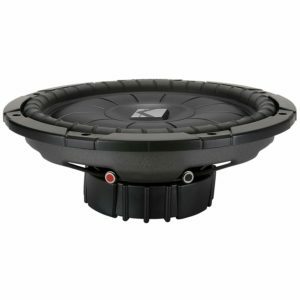 10 inches subwoofer – this is the most common size for subwoofers. They are known to be safe and well-rounded and can keep up with fast paced music. 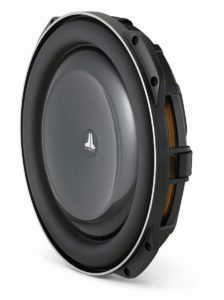 12 inches subwoofer – this subwoofer is ideal for heavy bass as they can produce and cover deeper range of frequencies. However it does not work well with fast pace music like heavy metal or rock but works well with pop, club, rap or electro music. 15 inches subwoofer – if you want something that can make people’s ears bleed then this is the right choice. To sum it all, you must choose the best shallow mount subwoofer according to your needs and to the type of music you are listening to. You can choose from our selections or search more for your own satisfaction. You must also pick the right size if you wish to install one; having the right size of subwoofer and measurement of your car does wonders. So choose your subwoofer well and pair it with the best amplifiers and you are good to go. We hope you find this helpful, enjoy!